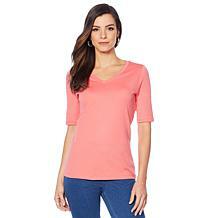 Vibrant colors and cotton slub knit come together in a darling tee you'll wear with everything. Stock up on this versatile layering piece that's also perfect on its own. 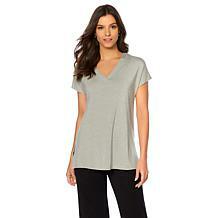 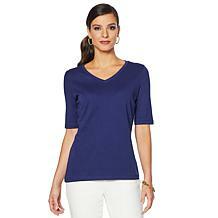 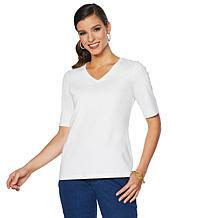 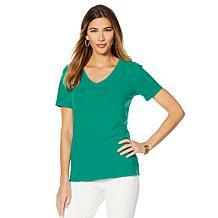 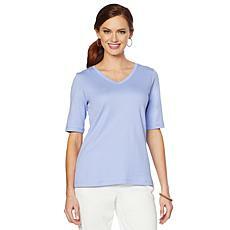 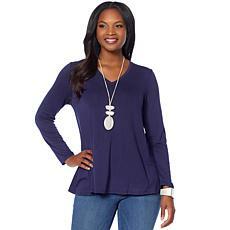 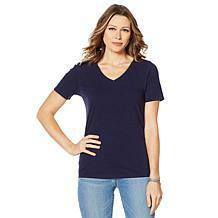 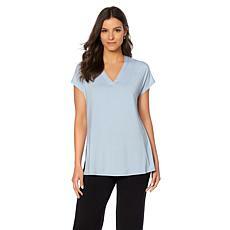 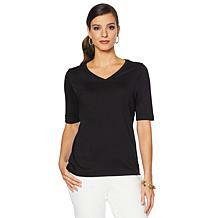 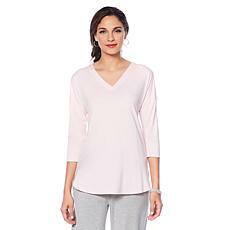 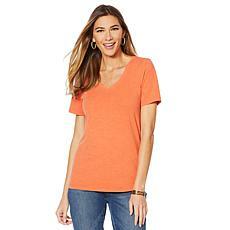 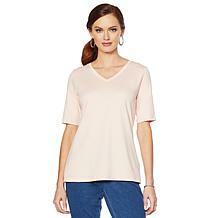 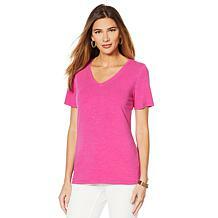 Build your foundation wardrobe with this classic, elbow sleeve-length tee. 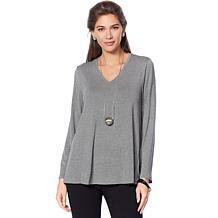 In a super-soft stretch cotton knit, the V-neck pullover becomes an under or outer garment for layering all year round.